From spray-on yoga pants from Lululemon and Pledge, to renting out your desk on Airbnb and even DIY toupee accessories from Modcloth, this year’s good natured fun was a mix of weird and wonderful, just like the holiday intended. 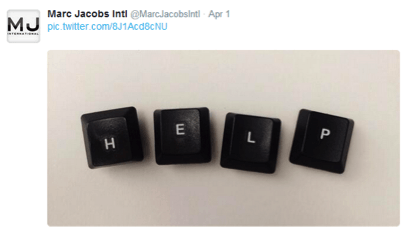 While there are numerous round-ups out there, one activation you might not have heard of was Marc Jacobs’ #nokeyboardnoproblem. 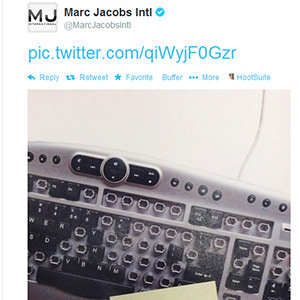 After lunch on April Fools’ Day, @MarcJacobsIntl tweeted a photo of a broken keyboard. While there was no text in the actual tweet, the photo communicated the problem. 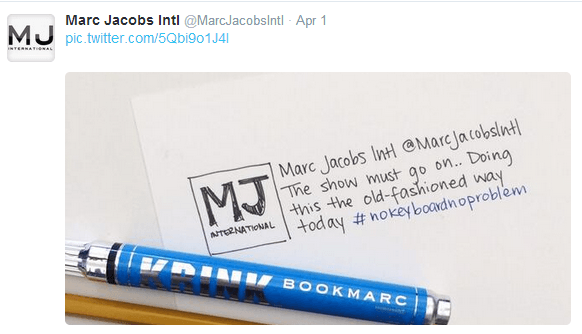 With each tweet, more and more fans of @MarcJacobsIntl were pulled into the conversation, prompting the brand to respond to them with more photo responses. 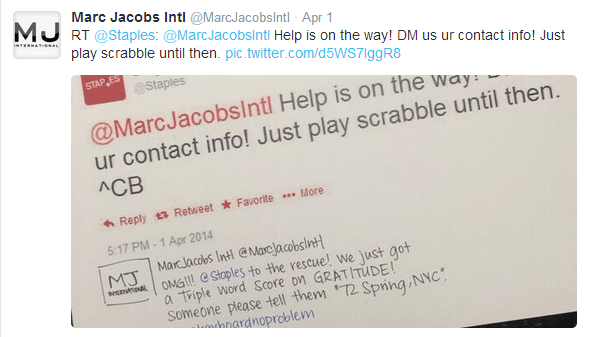 Ultimately, @MarcJacobsIntl and its fan community succeeded in pleading to @Staples for help. And a shiny new keyboard arrived that evening, prompting a gracious thank you tweet the next day. Bonus points? 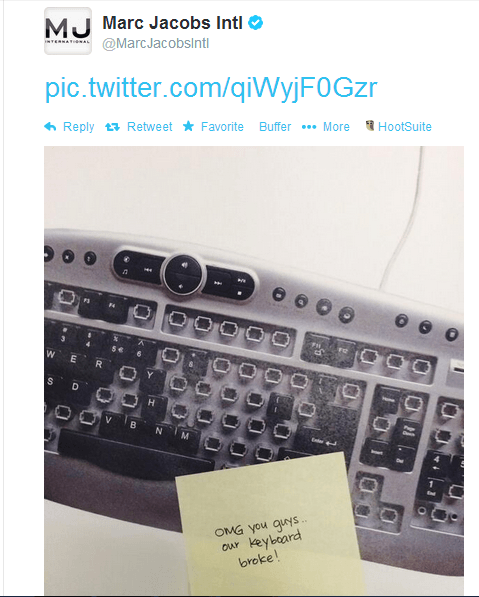 The company humorously leveraged Storify to chronicle its #nokeyboardnoproblem experience. Check it out here. Embrace the Unexpected: Sure, there were a ton of clever and wacky April Fools’ Day activations from brands that prompted a ton of engagement. However, @MarcJacobsIntl was successful in taking a common theme – technology problems – and spinning it into a visual story that its community could rally around throughout the afternoon and into the next day. 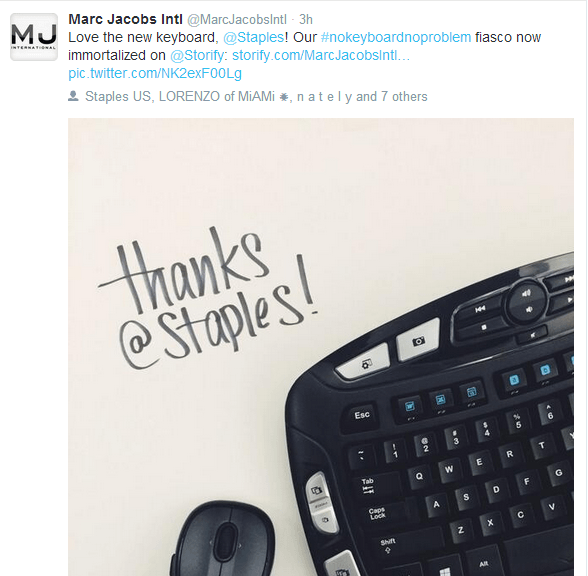 Relevancy Has a Deadline: While it’s not clear if @Staples was in on the activation, the social media team did a good job reacting in real-time and playing along. Waiting until the next day to respond would have been a major missed opportunity. Maximize Twitter Photo Features: A tip when sharing images on Twitter is to upload photos directly to Twitter or via a Twitter management tool like Hootsuite, TweetDeck or Buffer in order to see the photo beneath your tweet. Unfortunately, sharing directly from Instagram is not a good user experience because that visual will not show below your tweet and you’ll drive users to view onto Instagram (too many people still do this). Last week, Twitter also announced the ability to tag up to ten people in a photo, freeing up some of the valuable character count. Here’s a good guide on how to do this. 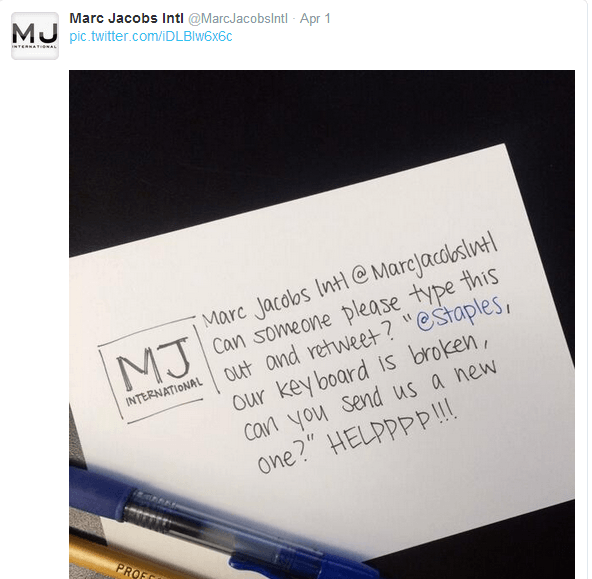 Bring Your Community Into The Fun: Part of the reason why the @MarcJacobsIntl community responded well to the #nokeyboardnoproblem story is that the company included its fans. Not only did the fans get custom visual messages back, but they also asked the community for help in reaching out to @Staples. It’s a good takeaway to mix up how you respond to your community with text, photo, video, Vine, etc. 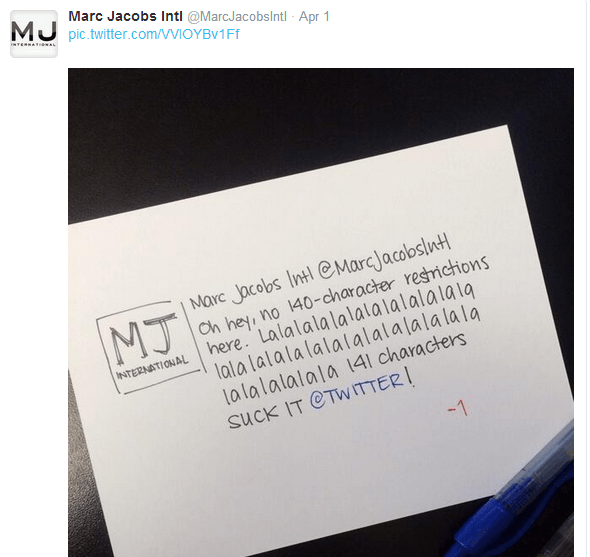 type visuals to further drive conversation and promote social sharing. 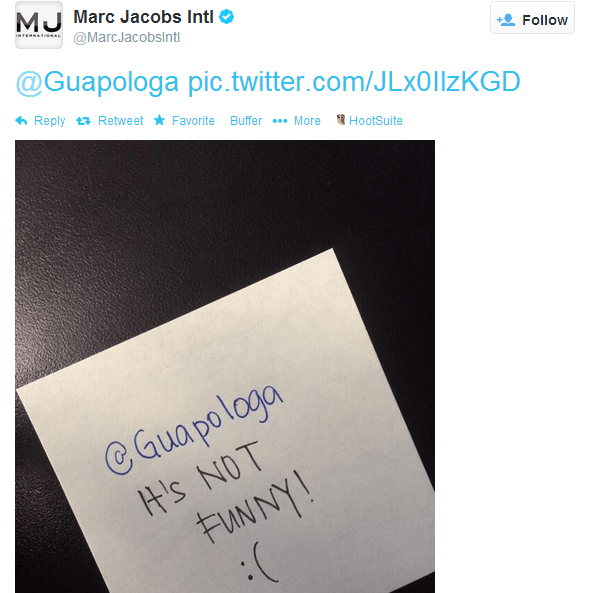 What was your favorite April Fools’ prank? Share it in a comment below!